I recently attended a chamber-sponsored roundtable discussion, gathering local feedback on CDOT’s Grand Avenue Bridge proposal. I’m glad I attended, because it forced me to organize my thoughts. As I was driving north on Grand Avenue looking at the bridge, with the Hotel Colorado in the background, something became clear to me: This whole process is backwards. To be honest, I feel that we have historically been enabling CDOT and its mission of moving traffic. And I don’t blame them, because that is exactly what they are commissioned to do. However, we, too, must fully embrace our responsibility and our mission, and that is to provide safe and pedestrian-friendly intersections in our town. The reality right now, before we even consider a new bridge, access plan or anything else, is that we have been totally negligent in preserving our quality of life and protecting our pedestrians. That was the beginning of the end of safe pedestrian crossings, in Glenwood Springs. From Grand Avenue to the new traffic circles, in West Glenwood, pedestrian safety no longer exists in our town. You get a few seconds to make your move at the same time a car or truck gets a few seconds to make its move. We are a “destination resort” for healing (“Yampah”) and soaking and recreation. We are Rand McNally’s “Most Fun Small Town” in the country. This must be our focus and not just improving traffic flow for a state highway. Our small town atmosphere, our historic downtown and our endless blessings, from the hot springs to the slopes to the rivers, are not only commodities but actually an inheritance that we have a responsibility to protect and to preserve. We simply cannot continue to increase traffic flow and traffic speed and destroy the very quality of life that we deserve and tourists expect. The bypass discussion, although essential, has actually become a bit of a distraction to me. The bypass is a future “regional” issue that CDOT will have to address. And that will only come about if we take back our town, bring back safe crossings like the “Barn Dance,” and make through-traffic adhere to our lifestyle vs. constantly asking us to adjust our quality of life and safety in order to improve traffic flow. Then and only then will CDOT be forced to deal with the “regional” traffic problems and realities that exist. That is not our job. We were told that there are funds earmarked for bridge improvement that must be used. From my perspective the bridge starts at the Hotel Colorado and ends just before Eighth Street. The question should be do we have consensus that a new bridge is necessary or is there actually a current benefit to the narrow bridge slowing the traffic entering our town? If we have consensus that the bridge is necessary, then add the minimum number of feet to each lane and make architectural improvements to the bridge that will actually enhance its appearance and the entrance to our town. 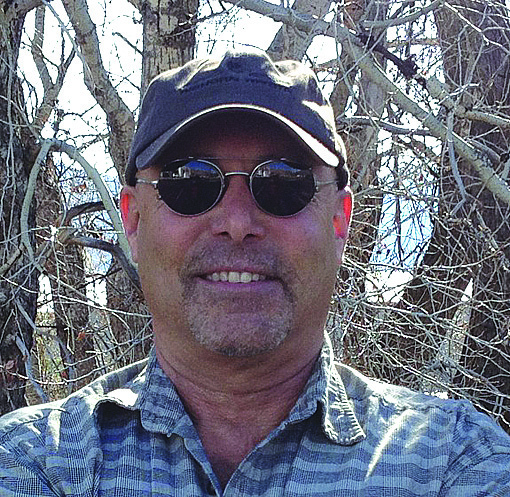 From Tavern owner to auto sales Ed Rosenberg has lived in the Glenwood Springs area since 1975.